Hey there everyone! So todays blog post is a bit different! 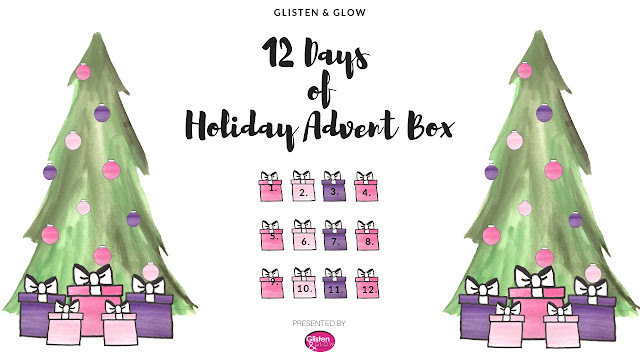 Today on my Youtube channel there is a really fun unboxing and swatching video for the Glisten and Glow 12 Days of Holiday Advent Box! That being said that video does contain spoilers so does this blog post, just a heads up. However if you want to learn about the box without seeing spoiler you can read on till you see the large "spoiler alert" text. Here is a bit about the box! Glisten & Glow’s 12 Days of Holiday Advent Box is includes best selling core Glisten & Glow products, 5 Exclusive polishes and exclusive scents on our nail care products! Only 75 boxes filled with individually wrapped and numbered items!Glisten & Glow’s 12 Days of Holiday Advent Box is includes best selling core Glisten & Glow products, 5 Exclusive polishes and exclusive scents on our nail care products! 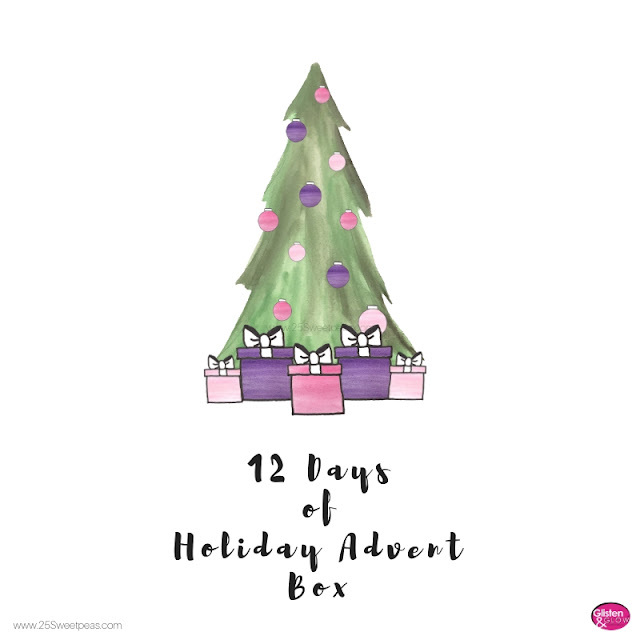 Only 75 boxes filled with individually wrapped and numbered items! The Black Friday sale will make the box $70 something so that's a pretty great deal! :) Now if you want to check out the video you can below. SPOILER ! SPOILER ! SPOILER ! 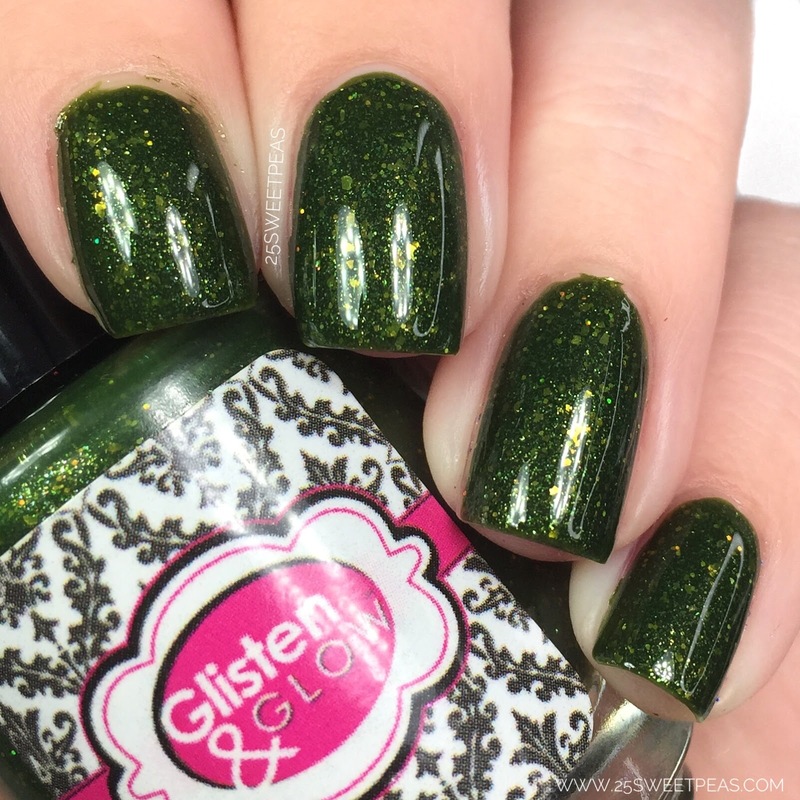 A hunter green with a golden to green flake and a golden shimmer plus some holographic micro glitters. 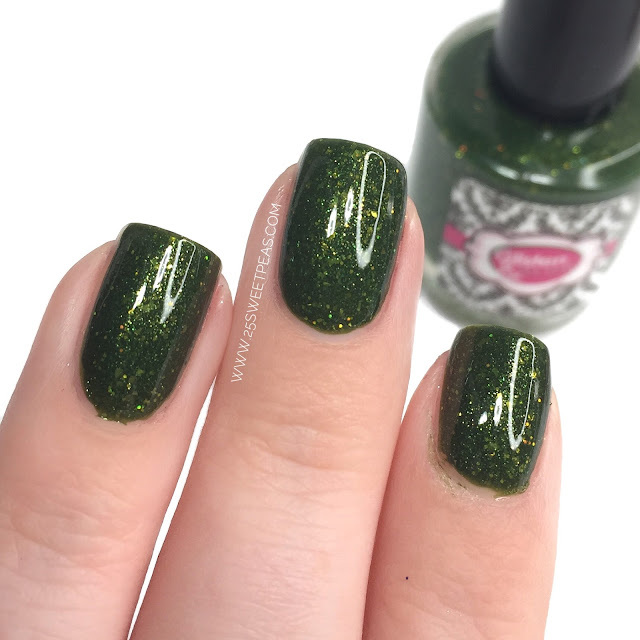 Talk about the perfect evergreen polish perfect for Christmas! This polish is lovely as you can obviously see, and the formula is fabulous. 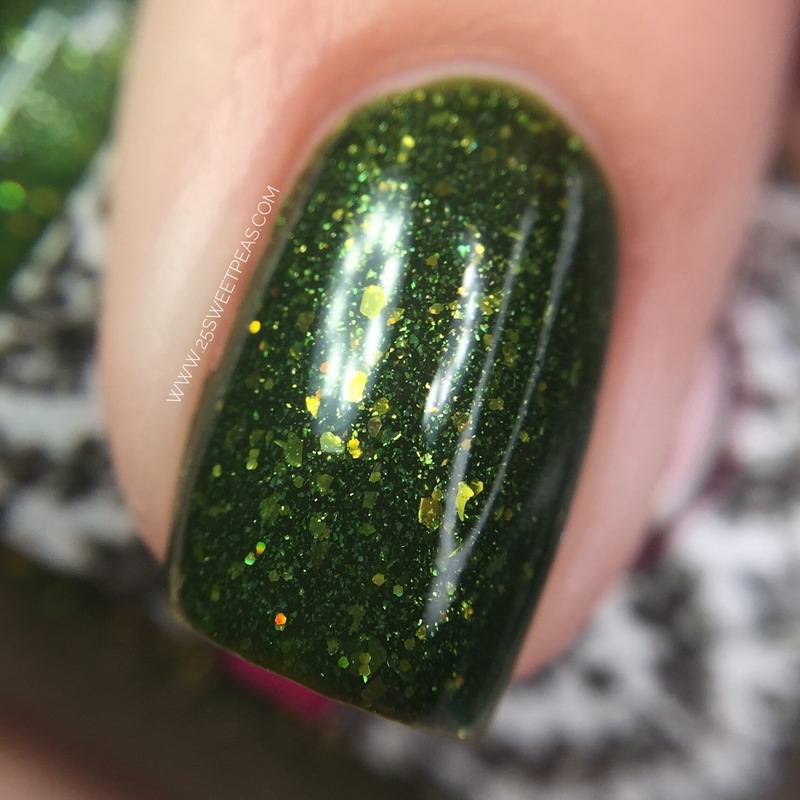 It covers perfectly in 2 coats and those flakies are great! 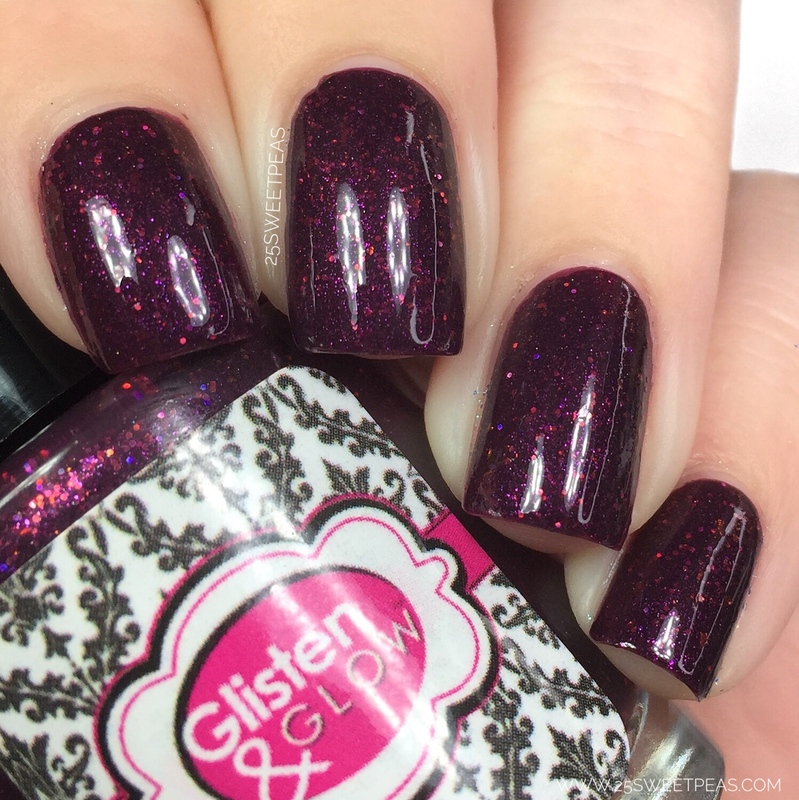 A deep purple/burgundy that has a burgundy shimmer and red holographic micro glitters. This is such a pretty deep warm color, the shimmer and hint of holo, and the flakies give a really pretty warm feel to the polish. The formula was great and it applied completely and evenly in 2 coats. 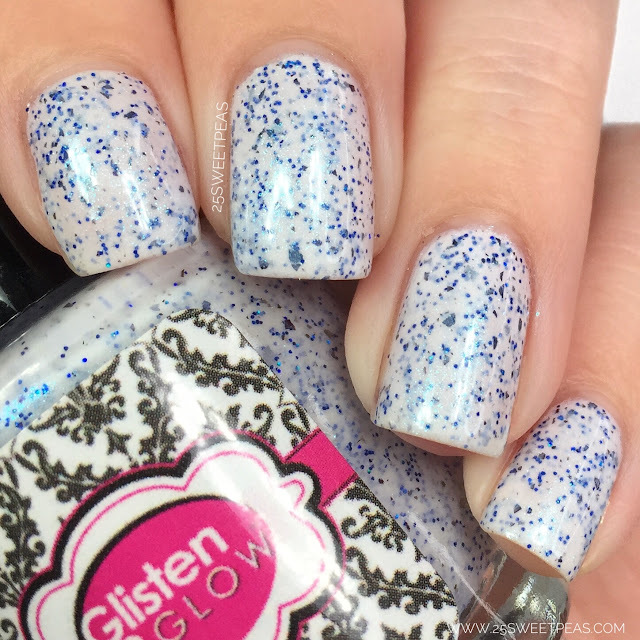 A cruelly cream with a lovely golden shimmer that has a really neat mixture of flakes and micro glitters. The golden glow here is so strong and pretty plus it actually shows really well in photos which is something that doesn't happen all of the time. 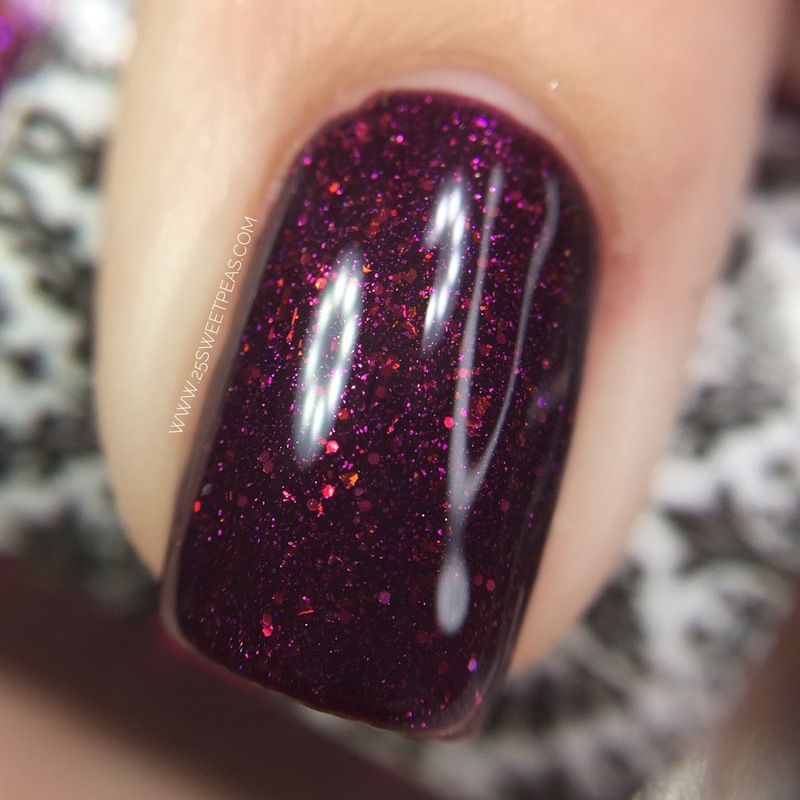 Then throw in the flakies an it just makes for a really well balanced polish. The formula was great sheer in the first coat but the second one totally results in full coverage. Also side note, this reminds me of Eggnog which is weird because I don't drink it but I like the idea of it. Ha! Crushed Candy Cane! Thats it, even though this is a pink it reminds me of crushed candy canes! Its such a soft pink toned polish with various small micro glitters like red ones some small flakies, a lovely slight golden shimmer and a slight red shimmer as well and its really pretty. Here is 2 easy coats. 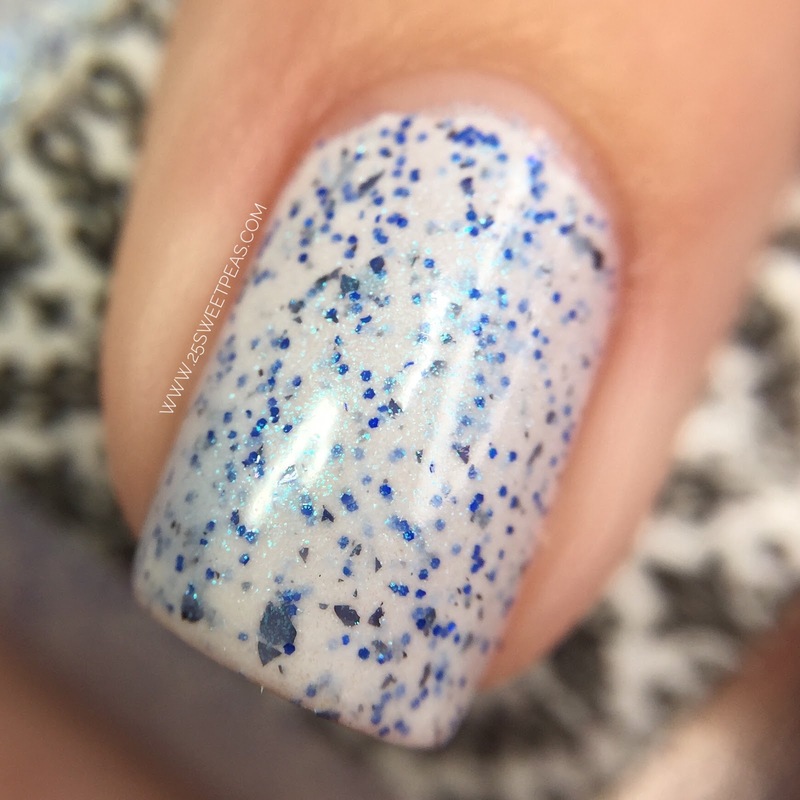 A white crelly polish with a turquoise shimmer sheen and various cobalt micro glitters and flakies. The perfect white winter crelly. The turquoise shimmer is so prominent, and then the cobalt blue micro glitters and flakies just make it really nice. 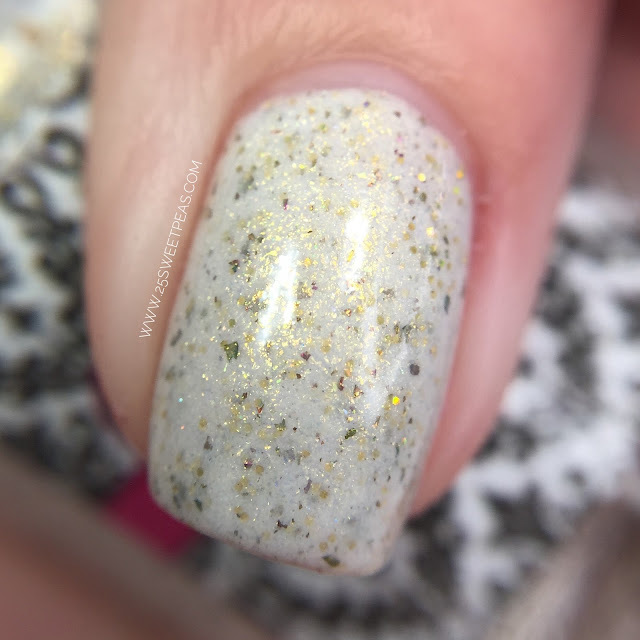 It applied really well, and even the micro glitters laid themselves out perfectly with no extra effort on my part.